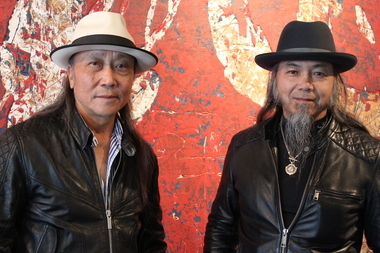 Shan Zuo and Da Huang Zhou pose for a portrait at their Bridgeport gallery. BRIDGEPORT — With hardly any money and even less name recognition, ShanZuo and DaHuang Zhou arrived in Chicago from Shanghai in 1986 intent on selling the paintings they'd carried in their suitcases. Fast forward nearly three decades and the always nattily dressed Zhou brothers have displayed their paintings in fine art galleries across the globe, been commissioned to produce unique sculptures and have been named as guest professors at elite art institutions. They've have even had their work presented at the White House. Their Zhou B Art Center, a gallery and studio space for global artists at 1029 W. 35th St., celebrates its 10th year this month with an invite-only black-tie gala and the debut of a new collection of work called "Feeling is Liberty." The center is also hosting a free concert and opening next Friday. "There is different ways of expressing yourself, but feeling is something you can't really express by language, only through painting. And any artist has an ability hidden inside them but it hides and sometimes nobody even realizes it, they never had the opportunity to wake up. Then one day they wake up and they're ordinary people. So you wake them up. You shake them up." The upcoming anniversary celebrations, expected to draw the city's cultural elite and top-tier collectors, mark another artistic phase for the brothers, 57-year-old DaHuang and 62-year-old ShanZuo. But the festivities also serve as a look back. According to an extensive online biography, the brothers were raised in Guanxi Province during a time of intense political upheaval in China. Their family's intellectual background would make them targets of Chairman Mao Zedong's communist regime. Zedong's regime sentenced their father, a poet and scholar, to a labor reform camp in 1957 after his frequent and vocal criticism of the Community Party leadership. Not long after that, their mother's longtime bookstore was shut down as part of the Cultural Revolution, which aimed to purge capitalistic enterprises. She'd later be locked away and beaten in solitary confinement in a makeshift prison, before eventually getting released and moving the family to a commune farm. Still, the brothers persisted on their dreams to become artists. When the Chinese government loosened some rules, ShanZuo set off to the Shanghai Drama Academy to study art and DaHuang joined him — even though he wasn't admitted to the school. By the mid 1970s and early 1980s, the brothers intensified their art studies and their work started to gain recognition in China, including at their breakout 1985 show in Beijing, hailed as "the springtime of Chinese art, as it reawakened from its cold slumber." Despite their success in China, they were still virtually unknown in America. So in 1986, the Chinese immigrants started looking for a place to stay in Chicago. Friends suggested Bucktown for its burgeoning art scene, but the brothers, who barely spoke English, settled on Bridgeport to be closer to Chinatown. There, from a second-floor floor apartment on Parnell Street complete with shag carpeting, they launched their American career. "It was very dark, very old there. We changed that," said Shan Zuo. International recognition would soon follow, with the brothers' portfolio of paintings and sculptures being shown in galleries in New York, London, Los Angeles, Hong Kong, Berlin, Budapest and elsewhere. Inspired by an art center in Germany, they bought a vacant warehouse on 35th Street and transformed it into an art gallery and studio space for dozens of artists. "Suddenly it became very popular in a short time," said DaHuang. Their Zhou B Art Foundation, located next to their Morgan Street home and inspirational garden, also hosts worldwide artists. "I really feel [hosting the artists] brings a positive energy to the artists. They're pushing each other," ShanZuo said. Ten years after it opened, the center is also serving as a model for another project hatched by the brothers. They've inked a deal to open a similar center in Beijing and have plans to open another facility somewhere in Europe. That the brothers continue to call Chicago home has only helped to grow the city's image as a cultural destination. "Their generosity as they've grown over time and became more successful and wealthy to other artists is something that's critical to growing a healthy artists community," said Nathan Mason, curator of exhibits and public art for the city's Department of Cultural Affairs and Special Events. "They could've just turned completely inward and spent all their money on themselves instead of choosing to cultivate a community." 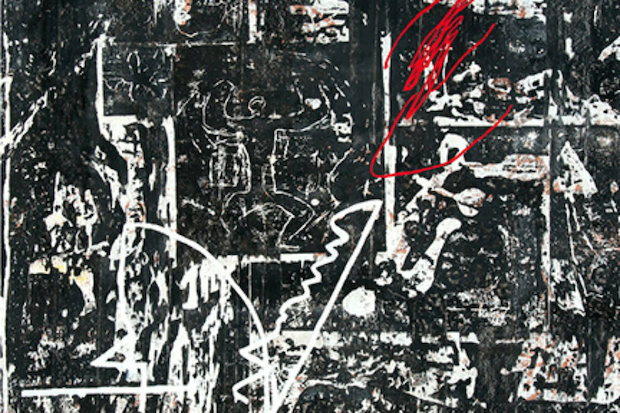 Despite the international acclaim, the brothers downplay their impact on the city's art scene. "We naturally do what we can do," ShanZuo said. "We just do our part. We're still just artists ourselves." In addition to the "Feeling is Liberty" show, which runs through November, the 10th anniversary of the Zhou B Art Center includes the "Centerline: Ten" exhibit in which work from the center's studio artists will be on display. That show runs through December. On Oct. 17, the venue will host a free live concert and an audio-visual show to accompany the public openings of both shows. For more information, see the venue's official website.